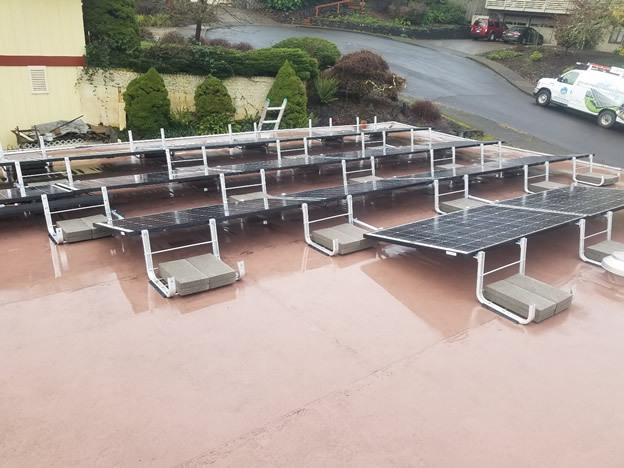 Ballasted racking systems rely solely on weight to mount photovoltaic panels to your roof. 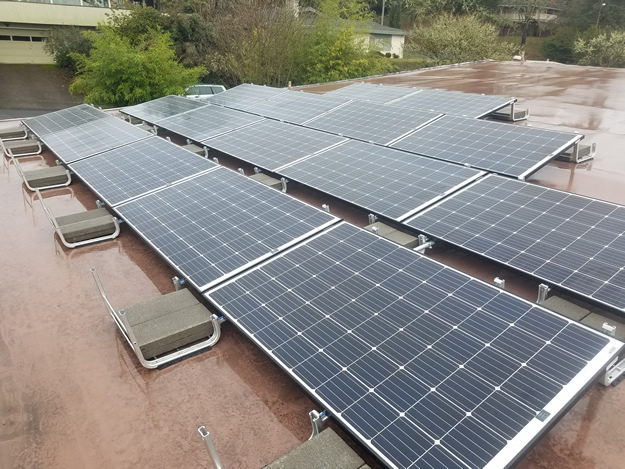 These systems provide the least invasive and a penetration free rooftop solar system. They are ideal for homes with TPO, membrane or other types of low slope roofs. Concrete blocks are placed throughout the project to provide appropriate loads and updraft resistance. Our licensed structural engineer will determine appropriate specification based on your home’s location and design. These systems also have a distinct advantage in that they allow the system to be moved with ease in case of re-roofing or other home improvement needs.